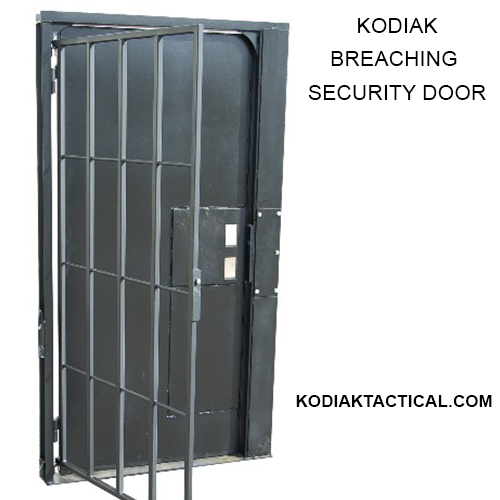 As an option on ANY of the KODIAK BREACHING DOORS, you can add a Rebreachable Burglar/Security Door. 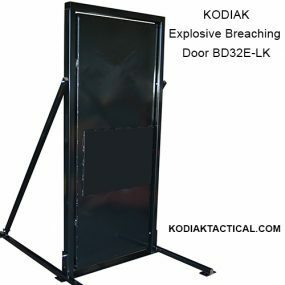 This allows operators to train for those real life situations where they may encounter a Security Door in front of the normal door. 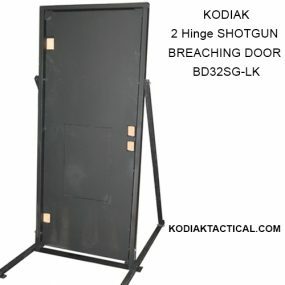 The Burglar Door and be pryed over and over again, and has no consumables. 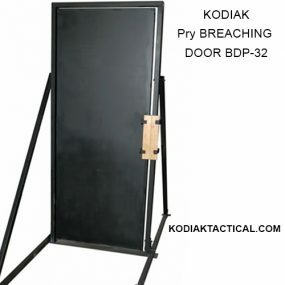 When added, this door can be removed if desired, so the primary breaching door can be used by itself, then in seconds you can re-attach the Burglar Door. 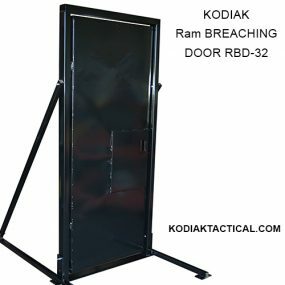 Also the Burglar Door comes with an additional option of re-breachable hinges, so you can do a door peel with a vehicle. (note some consumables required for this option).